REAL FAITH, REAL LIFE, REAL FOOD...AROUND TOWN! 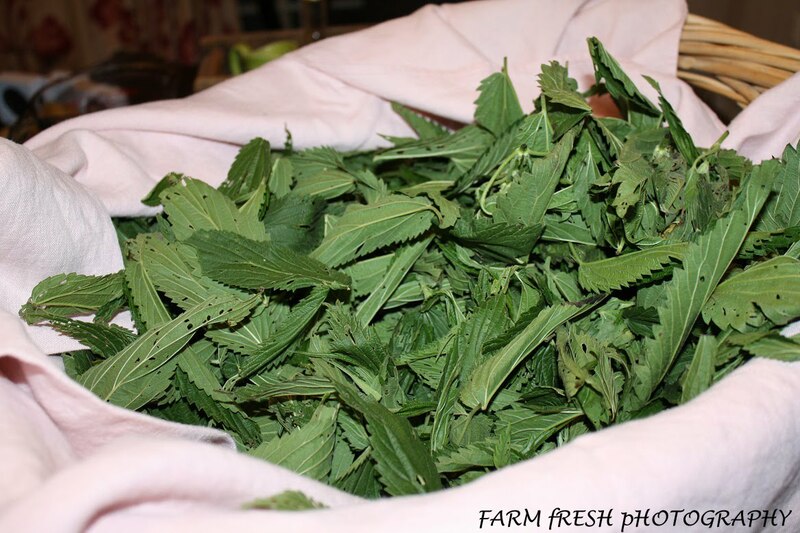 Gathered from right here around our pond, Stinging Nettle is one of the most nutrient dense plants available. High in iron, vitamin C, fiber, and a host of other goodies, make it one of the best things you can put into your body. You may add it to a stir fry of other mixed greens and add it to a frittata. You may roll the leaves up, stingers on the inside, and just pop it in your mouth. Or you may dry it for herbal tea. I dried all of mine in my dehydrator, with a total of about 3 quarts worth. To make a tea, take 1 cup of dried nettle to 4 cups of boiling water. 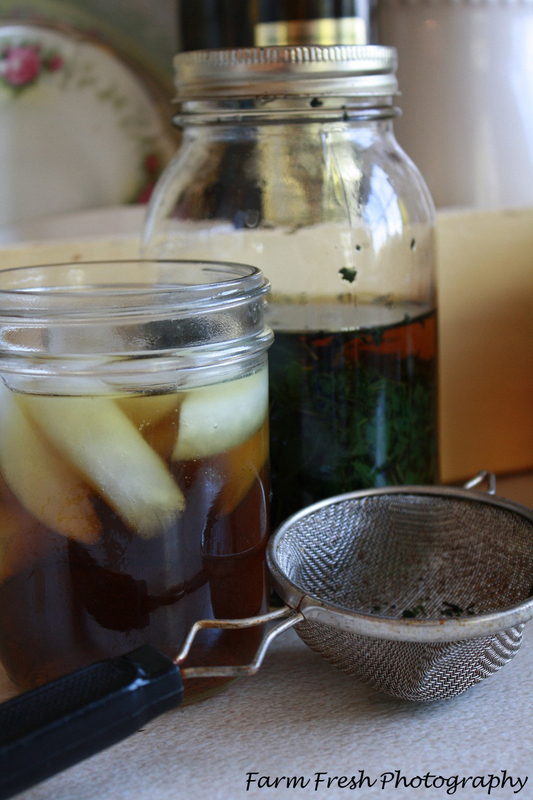 Let steep overnight to get every bit of goodness from the nettle. After straining a glass and adding some ice, I sweetened with just a bit of Elderflower syrup. It has a nice, grassy taste which paired perfectly with the flowery Elderflower syrup. new -found appreciation for what is likely right under my nose! I have heard of making tea out of stinging nettle, but didn't know of anyone who had tried it. A foraging class sounds like so much fun. This must be so much out there that we can use if we only know how. Have a great weekend! Stop by and check out my giveaway. Now I need to ask ~ how did you pick your nettle? Leather gloves? I soooo dislike being stung by those nasty things! But I know they are so good for you! Thanks for sharing the recipe! Hi Cindy! I just took a short cut and ordered some...lazy me! Thanks again for the inspiration...maybe some day. Hope you are hanging in there. Lady Farmer: Ha! I used my Rubbermaid gloves for dishwashing! Heather: No sting after they have been dried and steeped for tea. Couldn't drink it even if it WAS good for you if I was gonna get stung! My letters to emily: They are found around ponds, hedgerows, etc. My yard is organic as well as the CSA farm I belong to, so no worries there. I used my rubbermaid kitchen gloves to pick! Kathy: I know what you mean! But if I can get them for free, that is what I have to do! What do you do with yours? Hangin' in there...thanks for asking! WOW I bet its really good. I wish there were foraging classes in my area for me to take.That would be fun to learn. Hope your summer is going great. Im wanting to order me one of those fermenting jars and learn to ferment veggies. Right now Im gearing up for canning season, I just ordered me a new 22qt pressure canner. The garden is struggling the weather is so off, it just wont warm up and stop raining. Not that Im complaining, I could live in Texas. NOT........we have been trying to do a large expansion on the garden to put in raspberries,strawberries,blackberriesand blueberries. But things just keep getting in the way, my husband has been sick with a bad cough for three weeks and when he could have worked on the area it rained grrrr......oh well, in time :o) blessing friend! My mom would use this all the time in Holland! she would tell us it would "clean our blood" and if you had any little warts they would dissapeare if you would drink this tea! Thanks for sharing and hopping over to my blog! Love this post although I've never had nettle tea. I do use other herbs and thank you for this post, Cindy. It does look interesting. I'd love a foraging class. In our area though, the instructor is likely to die of boredom with the sparse variety. It it is a local saying that, " Even the jackrabbits bring their own lunch." Still, it would be worth the time to learn. 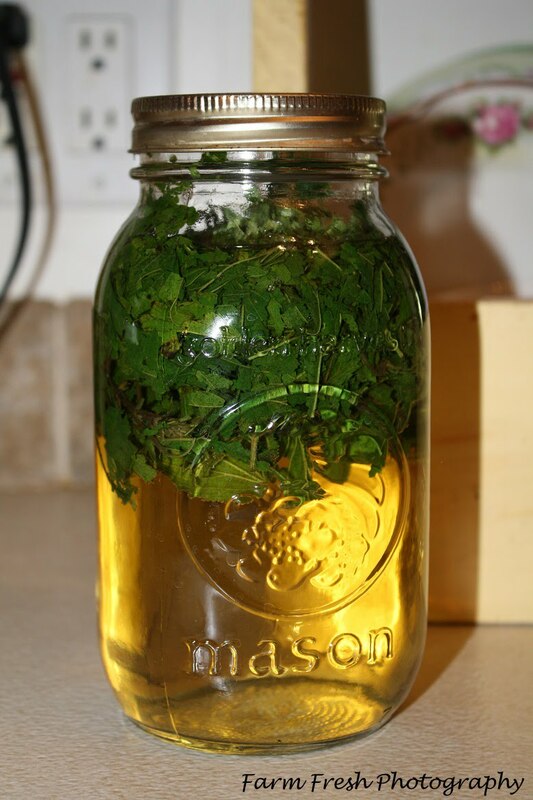 Nettle tea has been used to stimulate blood circulation. Stinging nettle tea is an effective natural diuretic and diuretics. Nettle tea is good for arthristis and as a detoxifier for the blood system. just found your blog via homestead revival! I just had my third child and had horrible varicose veins during my pregnancy. I SWEAR by this stuff. I dry my nettles too and made this tea daily for my veins. I was wearing support hose before doing this and after I began drinking the tea I no longer needed them. I so enjoy your blog because you have the most interesting recipes from nature. I'm not sure if we have nettles around here or not, but I would love to try it since I drink tea all day long! And I could really use something that gets rid of varicose veins!! Have a great weekend Mother Nature! This Passover/Easter weekend, there are some 1 million Jewish followers of Jesus in the world. I’m one of them. Here’s why. Are Mycotoxins Making You Sick? When will I ever learn? A pretty way to send invitations in this new age of technology! The Good Life.... Meanderings of a happy girl! He is a God of Miracles! Quick and Easy Brazilian Spicy Cheese Bread (GF)... and an idea. She Looketh Well . . .
Twenty Years ago . . .
My Busy Busy Year! Slow DOWN! What’s the Difference between vegan and vegetarian? Main Street Market vendor profile - Tattered Tiques!